Zorra has a well-balanced frame that is laden with rich and lustrous fleece, she is covered from top knot to toe. 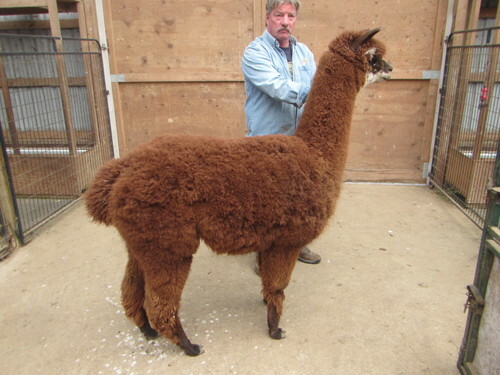 Her fleece is amazingly fine and uniform. At the age of 6 she was still 21.9 micron. 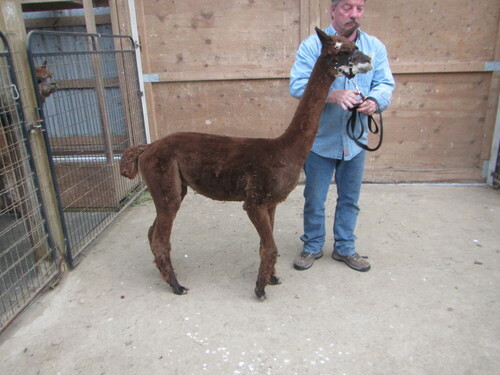 Zorra is a great mother, her male cria in 2011 was sired by Snowmass Truly Invincible - another ultra fine fibre alpaca. Truly Blessed looks like he is taking after his parents.